Mixing the ingredients is key to any great cake and with the Red Velvet cake it’s no different. Mrs Jones talks you through every step of the way with lots of helpful hints and tips along the way. This is where we add the red to the Red Velvet. Nearly there, but a few more crucial steps to finish the mix. 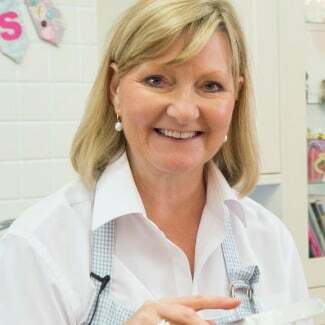 Oven at the ready, but you can’t take anything for granted as Mrs Jones explains some key points to ensure you get that perfect bake every time. Here are a few extra little hints and tips to help your baking. Award-winning baker Mrs Jones is here to teach us how to bake the perfect red velvet cake. As you may well be aware, red velvet cake is notoriously difficult to get right and with lots of different recipes out there, it's difficult to know which one will work best. We can confidently tell you that you won't find a better recipe than Mrs Jones', but the only you're going to know is to try it out!